I have a Revlon beauty mirror, which magnifies on one side and lights up, so I feel like a Hollywood star (almost!). I have a modern style arm lamp too, as I don't turn the big bedroom light on when getting ready early during the week so as to not wake hubs. 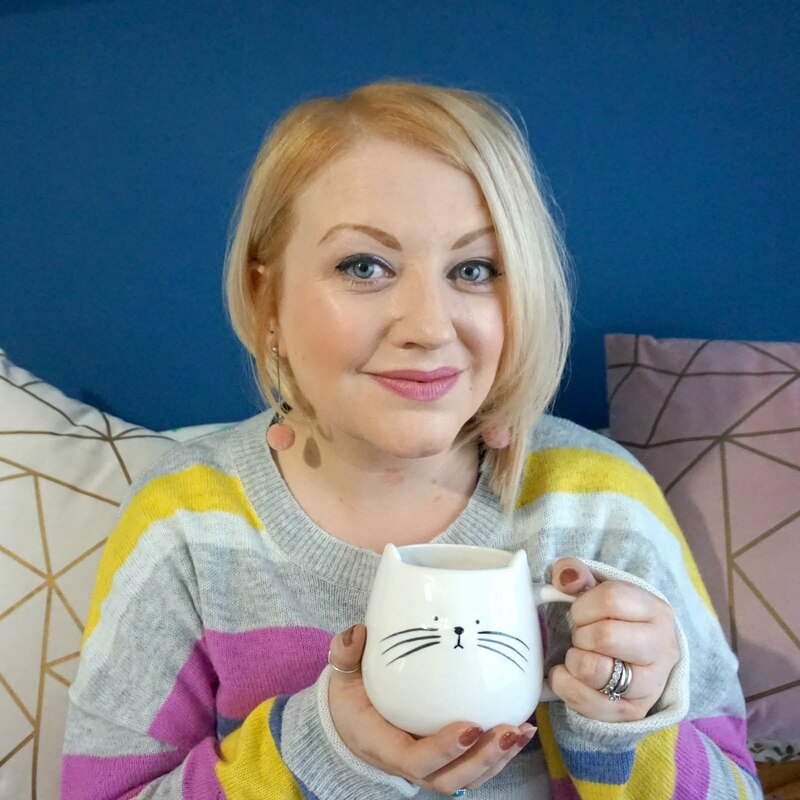 I have my Pandora jewellery box too - a gift from my 30th birthday - and a glass heart trinket box from my best friend which I use to keep my earrings safe. 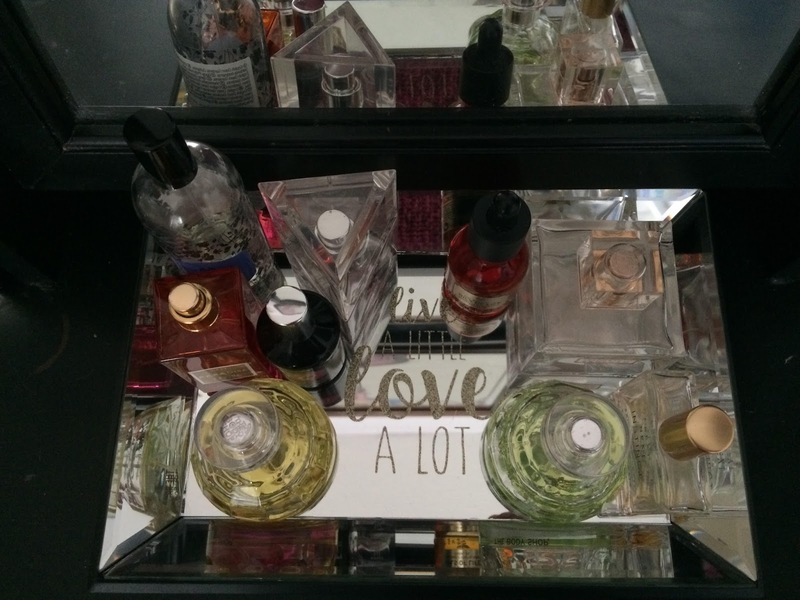 To add a further glamorous touch, I have a mirrored tray with some perfume bottles on. 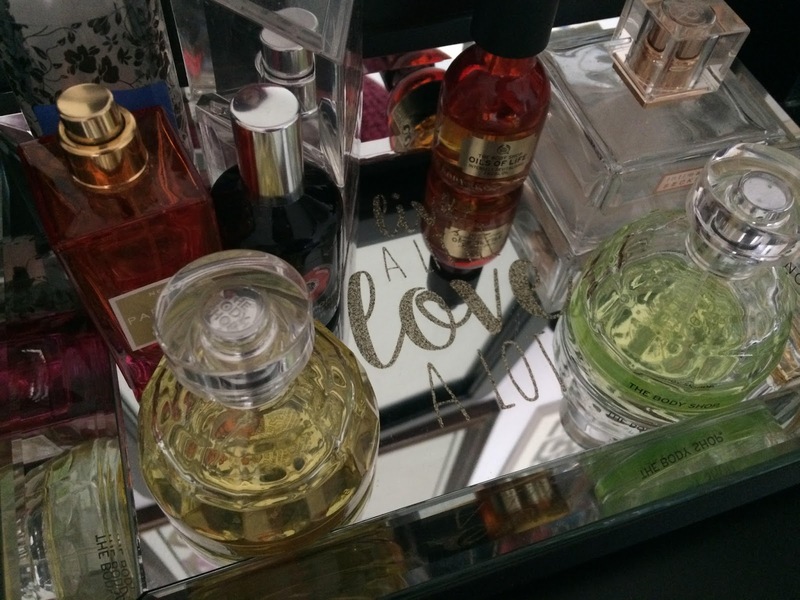 I used to have quite a cluttered dressing table but I have cleared a few things away and have just kept some bottles out that are nice to look at. 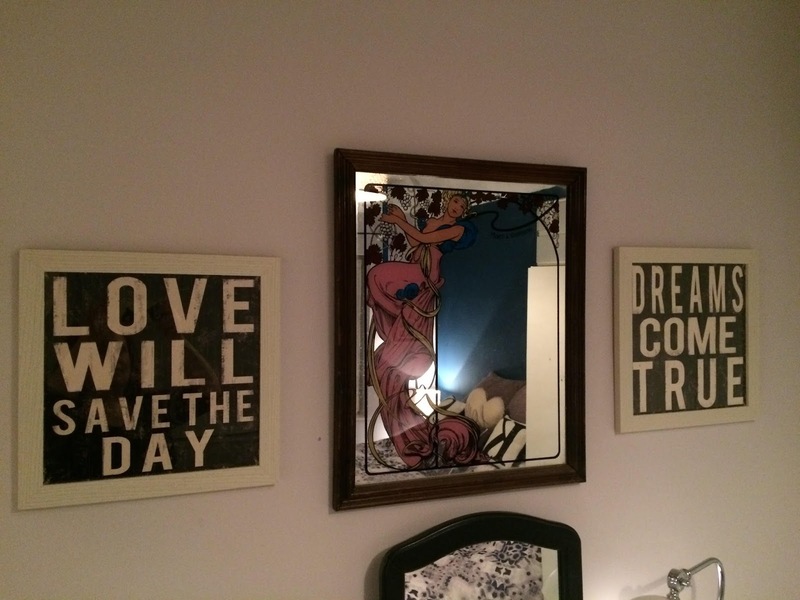 The mirror tray says 'Live a little, love a lot' in the centre in glitter writing and was just £3.99 from B&M Stores - a bargain! It's made a nice feature and reflects the light beautifully. 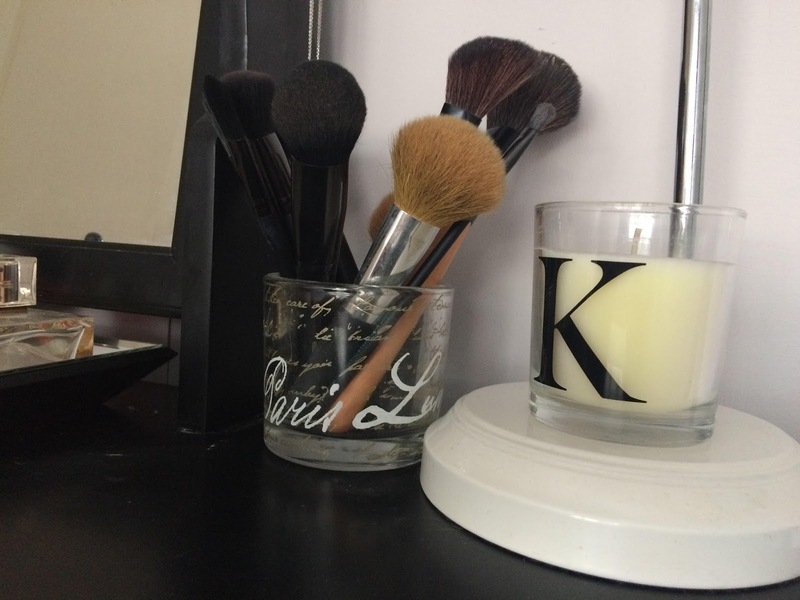 I also have a lovely glass jar which I use as a pot for all my make up brushes. I recently overhauled them and added a great set from L.A.B.2. The Pro Brush Kit (RRP £19.99 and available from various online stores) has everything I need and are really good quality. 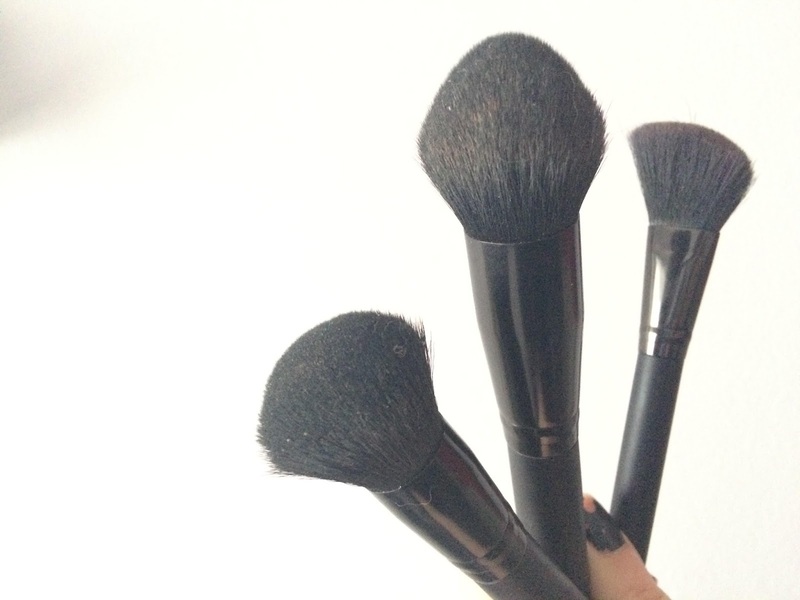 The flat topped brush is great for buffing and I use it for face powder after my foundation to set my make up. 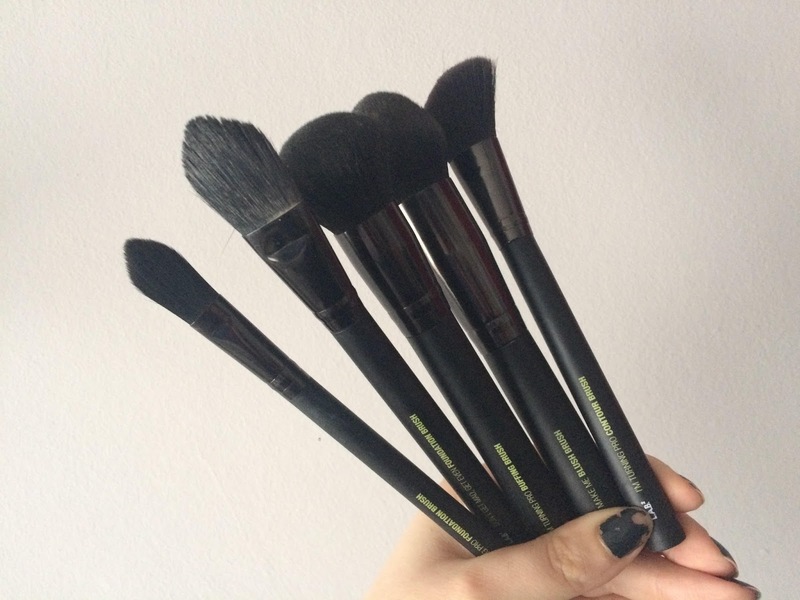 The angled brush is great for sweeping over contours and for precision blush application the contour brush is fab, trying to sculpt cheekbones onto my rounded face. And the eyeshadow brush is great for setting a good shadow base. I like keeping them in a pot so they are close to hand. 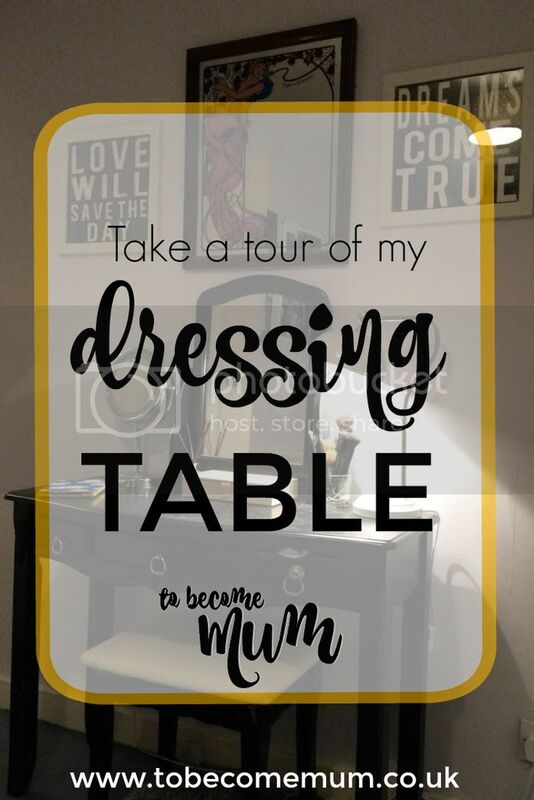 The knobs on the edge of my dressing table mirror provide a great place to hang some of my favourite necklaces and then the draws are where I keep some of my lotions and potions, and a few other pieces of jewellery. 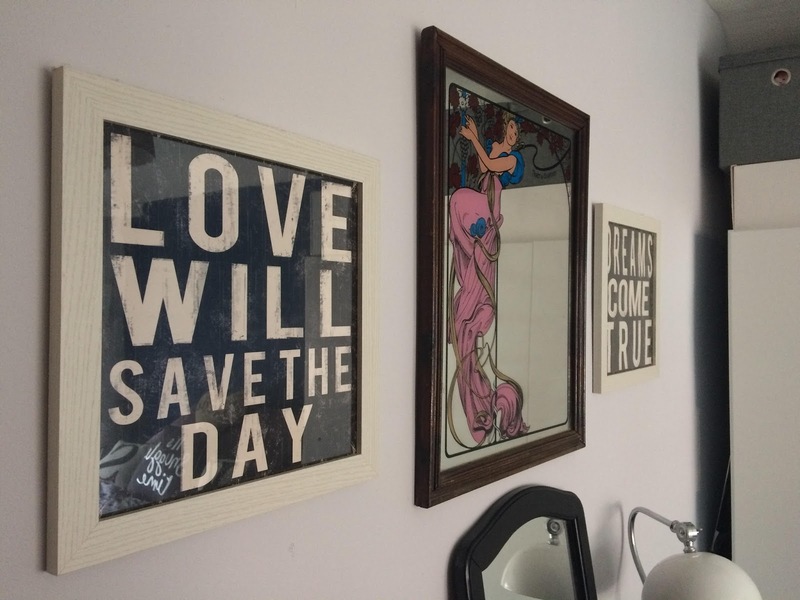 Above the dressing table, I have a special art nouveau mirror that was my parents and it helps to make this corner extra special. Finally, I have all my make up (of which there is a lot!) in a silver steel beauty case. I bought this as a January sales treat and it gives me space to organise foundations and concealer together, powders in another section, eye make up in another and so on, so I have every ordered and a full range of options to choose from each morning. 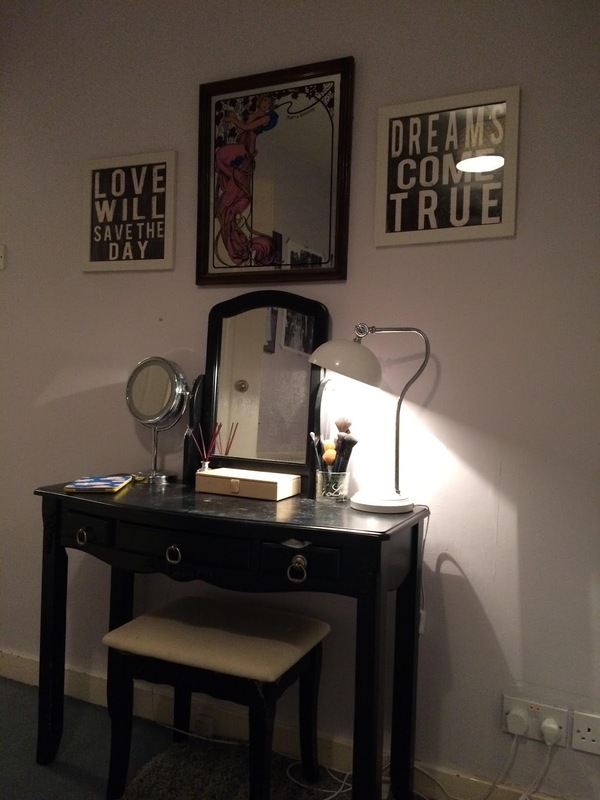 Do you have an area in your home where you can primp and preen?